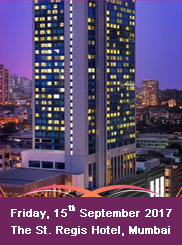 The industry's top honour – the All India Maritime And Logistics Awards (MALA) – is back with its Eight edition on Friday, 15th September 2017 at The St. Regis Hotel, Mumbai. MALA has emerged as the authoritative recognition of quality service, best practices and innovation — both among companies and individuals — in the various segments of the maritime and logistics sector. Selected by a jury comprising some of the leading lights of the fraternity, it can truly be said that this is an award of the sector, by the sector and for the sector. 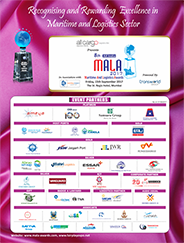 MALA 2017 is thus ready to replicate the success of the previous editions, which generated tremendous enthusiasm in the nomination phase, and excitement and anticipation at the awards ceremony. The main event sees a veritable Who's who of industry stalwarts and professionals, as well as policymakers and regulators past and present turn out in large numbers to applaud and cheer their friends, peers and colleagues. Self nomination is a must for these awards, whose over 30 categories will be scrutinised by an eminent jury drawn from various segments of the industry. The winners are chosen in a transparent manner based purely on merit i.e. performance & other key parameters during the period April 2016 to March 2017. Nominations are not invited for the individual award categories. So, join us at the MALA 2017 gala awards night to honour and celebrate excellence. You can also associate with this eagerly awaited event as a partner. It will be an occasion to cheer, savour and network.